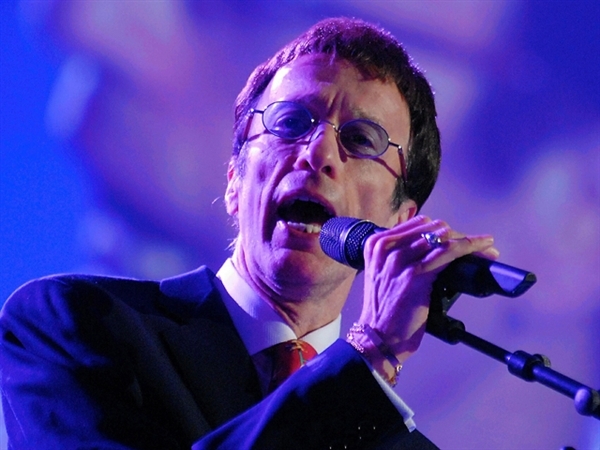 Robin Gibb has died, aged just 62. Bee Gee’s singer and songwriter, finally lost his battle with colorectal cancer, after contracting pneumonia, and slipping into a coma. Earlier this year it was announced that Robin Gibb was in remission from cancer, but Gibb’s publicist announced shortly after, that he had been hospitalised for intestinal surgery and was recovering, so was forced to cancel further scheduled appearances and performances. On 14 April, it was tragically reported that Gibb was “fighting for his life” after contracting pneumonia and was in a coma in a Chelsea hospital. Gibb’s two oldest children, his wife Dwina Gibb, his brother Barry Gibb and his mother were at his bedside. On 20 April, it was reported that Gibb was out of his coma and was making remarkable progress, according to his family. On 22 April, however, it was reported that he had advanced colorectal cancer. the Gibb family have been no stranger to health problems in recent years, In August 2010, while performing in Belgium, Gibb began to feel abdominal pains. , he was rushed to a hospital in Oxford, England where he underwent emergency surgery for a blocked intestine, the same condition that killed his twin brother, Maurice. Gibb recovered and returned to perform concerts in New Zealand and Australia. Gibb continued to make television appearances and other events following his surgery, but in April 2011 he was forced by health problems to cancel his tour of Brazil. More performance were canceled as the year grew to and end, and his few public appearances, started to show a frailer, weaker looking Robin Gibb. In November, it was revealed that Gibb had been battling liver cancer, that had spread from his colon. In an interview published in The Mail on Sunday on 22 January 2012, Gibb spoke for the first time of the cancer. “For more than 18 months, I had lived with an inflammation of the colon; then I was diagnosed with colon cancer, which spread to the liver. I have undergone chemotherapy, however, and the results — to quote my doctor — have been ‘spectacular’. It’s taken a toll, naturally, but the strange thing is that I’ve never felt seriously ill. I’ve mostly felt great. There have been many false claims around, which I’d like to dispel. I am not and have never been ‘at death’s door’. Nor do I have a team of alternative doctors working on my health. That’s not true, although I’m not averse to healthy remedies for any illness. I feel they can go together with conventional medicine. I do eat health foods and drink herbal teas made for me by Dwina, my wife and RJ’s mother. Other than that, I am under the care of Dr. Peter Harper at The London Clinic”. 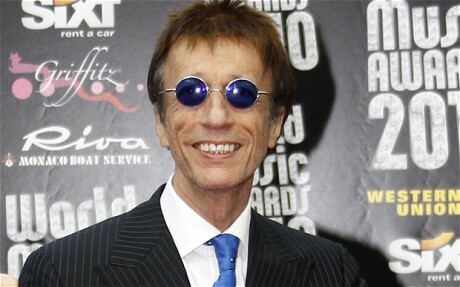 Robin Gibb died in London yesterday,20 May 2012. 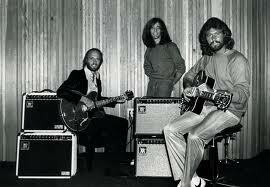 Gibb’s death left his brother Barry as the only surviving original member of the Bee Gee’s.